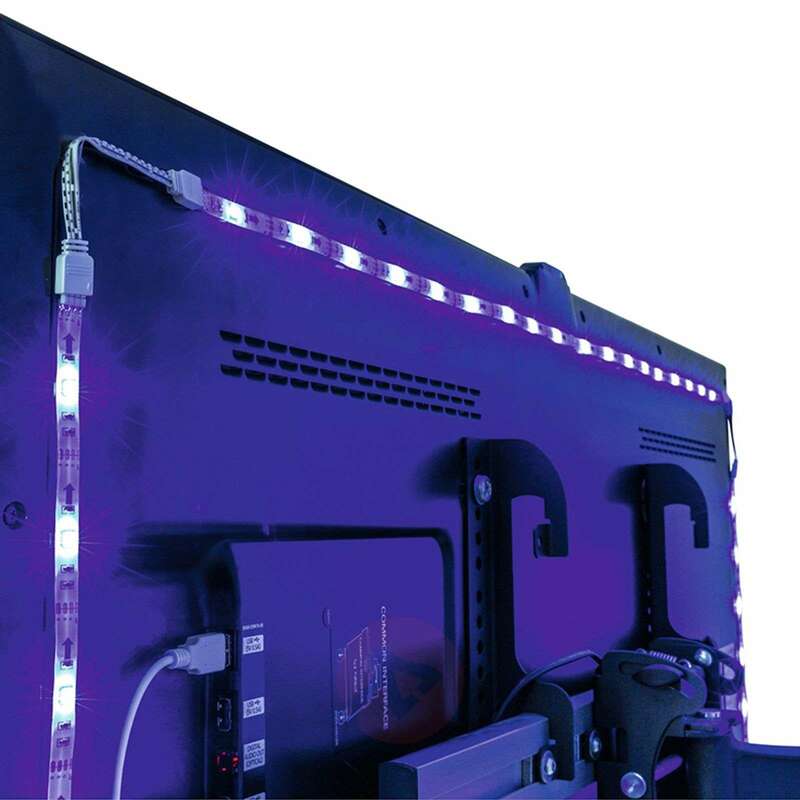 The Plug and Play LED strip set is a simple way to create background lighting for a television. 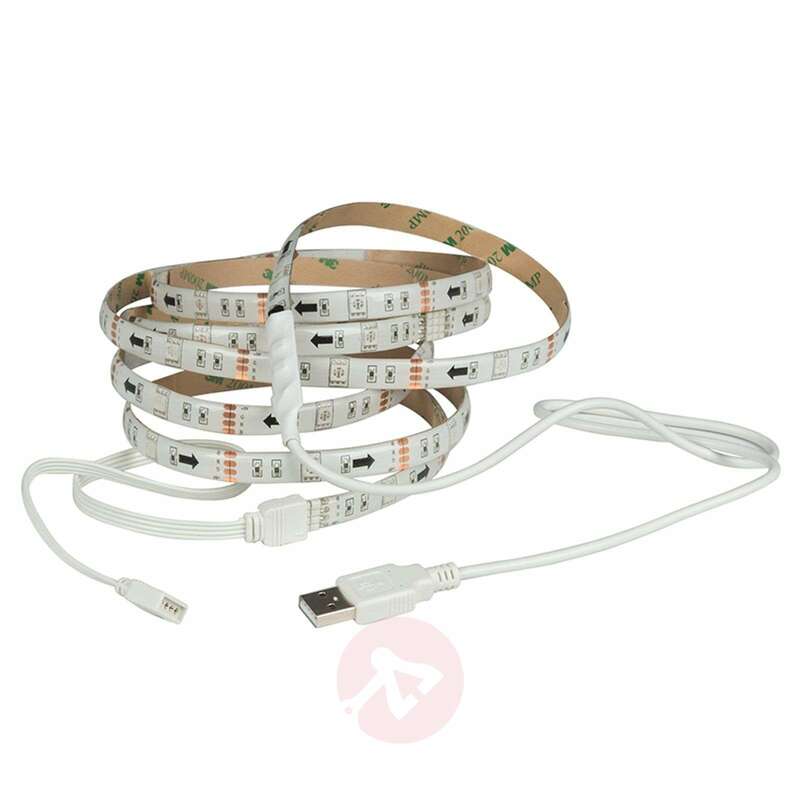 The set consists of four strips with a length of 50 cm each; a 50 cm long connection cable and a USB connector, which is simply plugged into the USB port of the television. 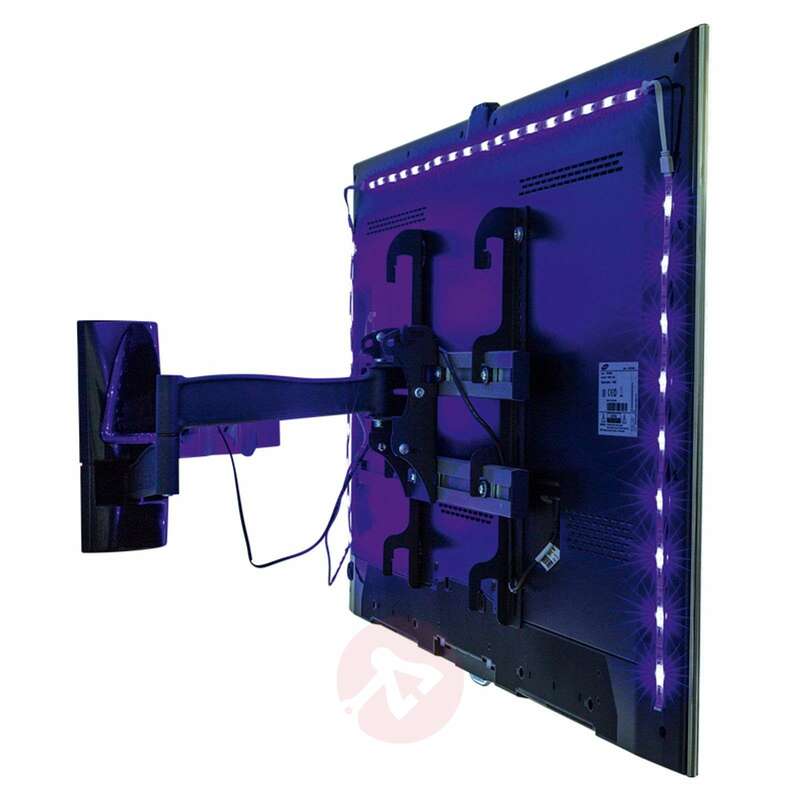 Also included are a mini controller with remote control, three 30 cm cable connectors and 7 plug-in connectors. 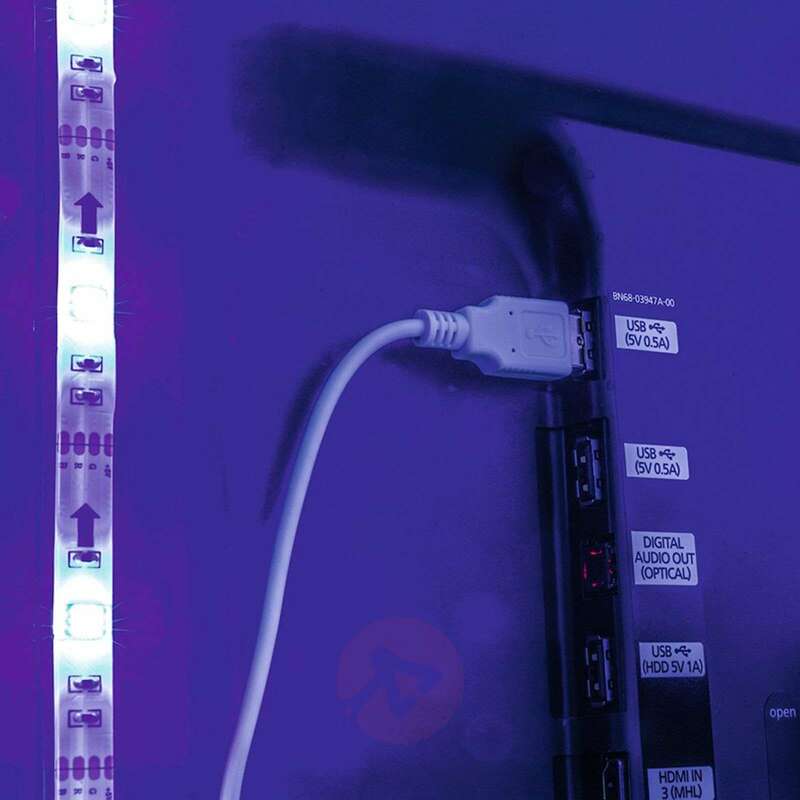 The strip can be shortened (after every three LEDs or 10 cm) and thus can be adapted to the size required. 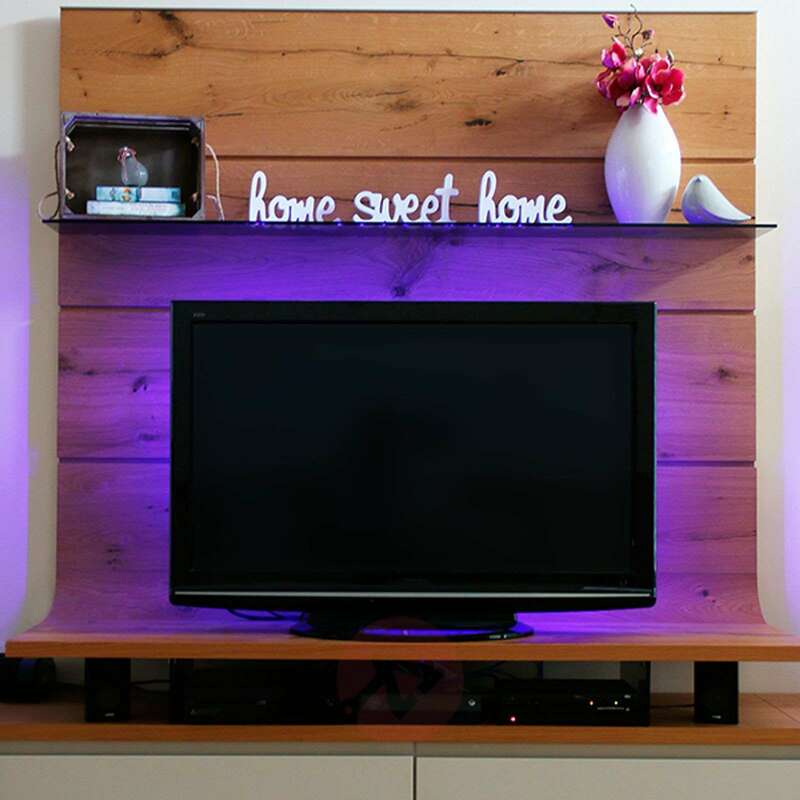 With the remote control provided it is possible to control the background lighting of the television from the comfort of your sofa. 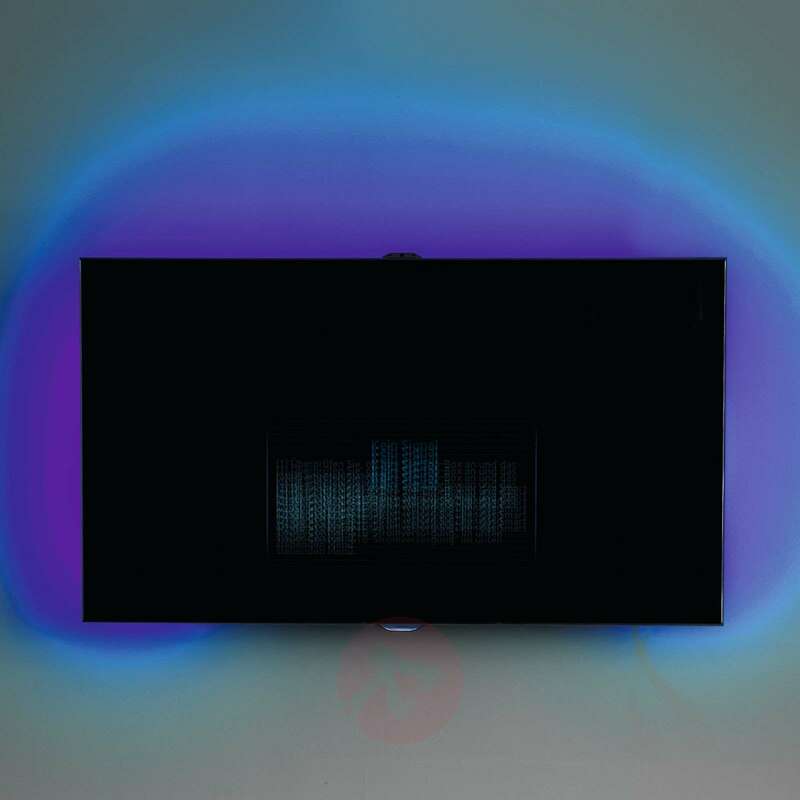 Kindly expect a full refund back on your account.